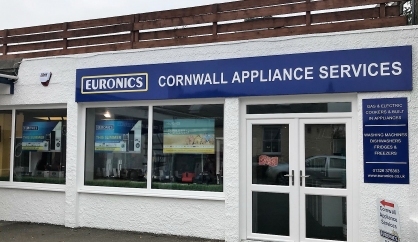 Cornwall Appliances are proud to be part of the Euronics network. Euronics stores are all independent electrical retailers, who as members of Euronics, the largest electrical buying group in Europe, join forces to create heavyweight buying power. With 30 member countries across Europe and 11,000 specialist stores and branches, reaching 600 million consumers, every agent in each country is a specialist in the field of electrical goods.